You know, given how accident prone Arthur Curry was as a kid combined with how incompetent his parents were, I’m surprised that he lived to see four. These childhood-issues-to-come have been brought to you by Adventure Comics #260 (May 1959) by Robert Bernstein, Jerry Coleman, Lee Elias, Ramona Fradon, Stan Kaye, John Sikela, and Kurt Swan. If you thought parental pressure on regular children to succeed was bad, it’s infinitely worse when your kids have superpowers. It’s not child abuse, it’s super child abuse. Today’s example of extreme parenting comes to you courtesy of Adventure Comics #260 (May 1959) by Robert Bernstein, Jerry Coleman, Lee Elias, Ramona Fradon, Stan Kaye, John Sikela, and Kurt Swan. 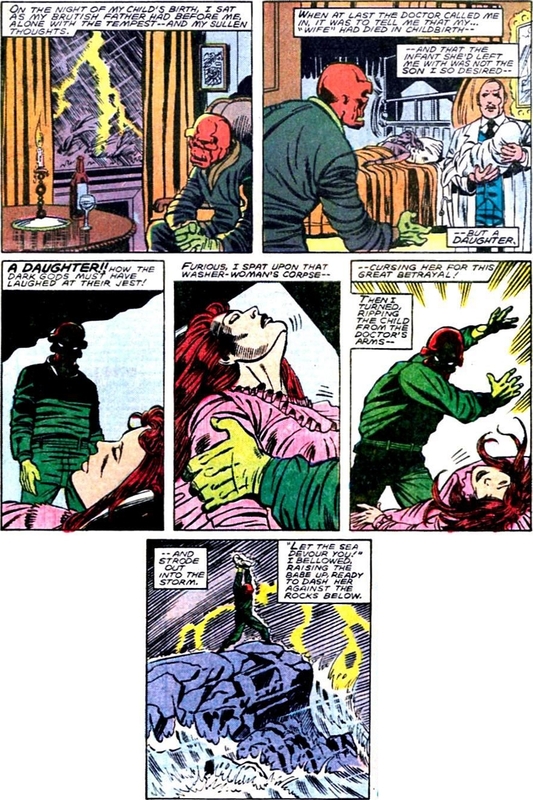 Jesus Christ…who knew that the Red Skull could be so goddamn emo? Dude, there's such a thing as ADOPTION, you know. Today’s Nazi temper tantrum courtesy of Captain America #298 (October 1984) by J.M. DeMatteis, Paul Neary, and Roy Richardson. You know, in hindsight, it’s a miracle that Lian Harper even made it past her fourth birthday. It's never too early to teach your children about self-defense and healthcare. 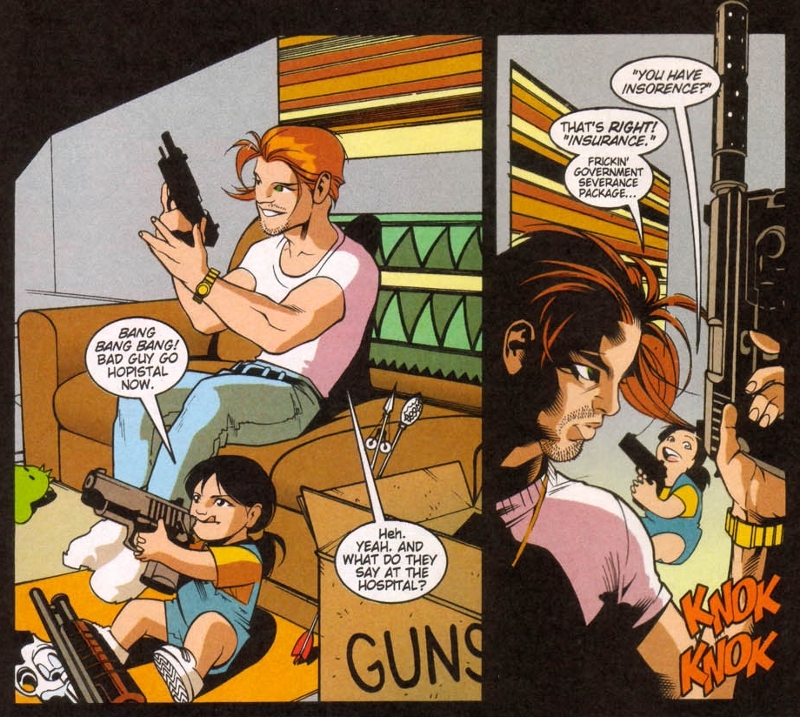 Today’s disturbing glimpse into the personal life of a former superhero sidekick has been brought to you by Arsenal #1 (October 1998) by Devin Grayson, Rick Mays, Jason Martin, and Karl Story.